This 16-diopter Dazor Stretchview Clamp Base Magnifier (5X) is ESD Safe and features exact positioning of the light source behind the lens allowing for a choice between even, shadow free illumination, or a hi-lighting effect to emphasize contrasts on irregular surfaces. 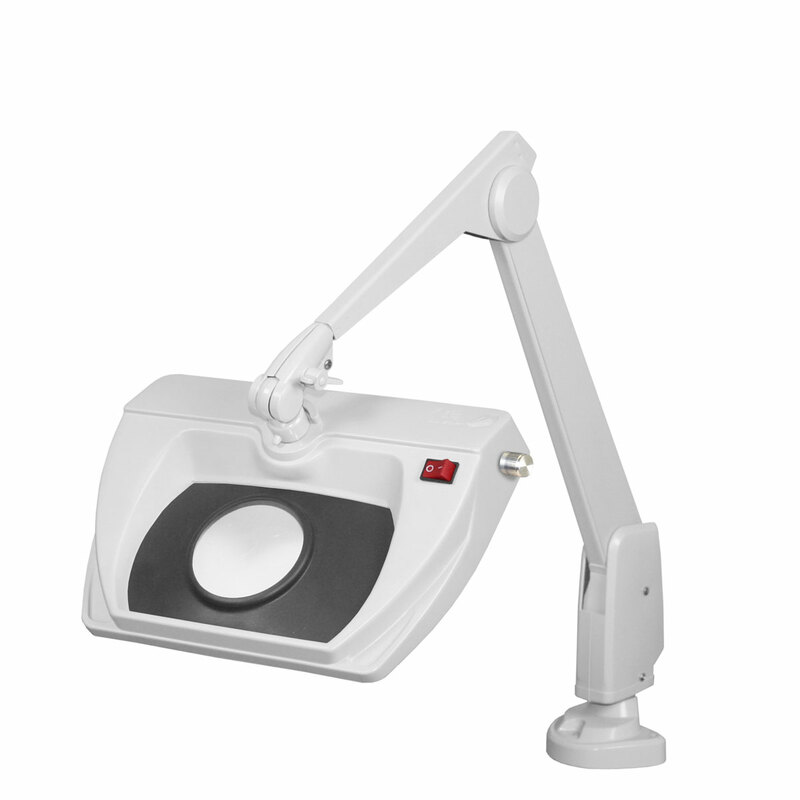 Other features of the Dazor Stretchview Magnifier include a clear crown-optical glass lens for clear and distortion-free viewing, Dazor's patented 28" contemporary-style floating arm for smooth and easy positioning of the lamp to any position, a sturdy base with durable powder-coat finish that can be clamped or permanently bolted to a horizontal surface. The Dazor Stretchview Clamp Base Magnifier is also UL, cUL, and CE certified and includes a 5-year warranty.